Do you have problem waking up in the morning? The right lighting can help people overcome morning drowsiness, according to a study by Korean research team. Researchers from Korea Advanced Institute of Science and Technology (KAIST) suggested that a blue-enriched LEDlight can effectively boost morning alertness. This study further supports the concept of human centric lighting and provides the basis for major changes in future lighting strategies. The 2017 Nobel Prize winning research unveiled the molecular mechanisms that control circadian rhythms. In the early 2000s, scientists discovered a new, “third” type of photoreceptor in the human retina which led to further investigation about the relationship between light and its physiological effects. The third type of photosensitive cells regulates a large variety of biological and behavioral processes including melatonin and cortisol secretion, alertness, and functional magnetic resonance imaging (fMRI). 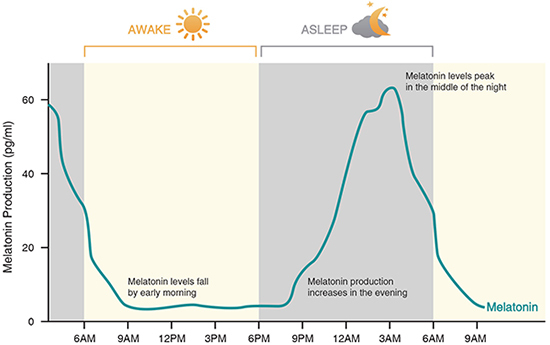 Professors Hyeon-Jeong Suk and Professor Kyungah Choi from the Department of Industrial Design at KAIST proposed that the effects of blue-enriched morning light on physiological responses have positive effects on melatonin levels. They conducted experiment and investigated whether an hour of morning light exposure with different chromaticity would affect their physiological and subjective responses differently. The decline of melatonin levels was significantly greater after the exposure to blue-enriched white light in comparison with warm white light.